One piece of advice that I give to new writers is that they should write about things that they know. The result is books that have the thread of realism necessary in today’s sophisticated literary world. 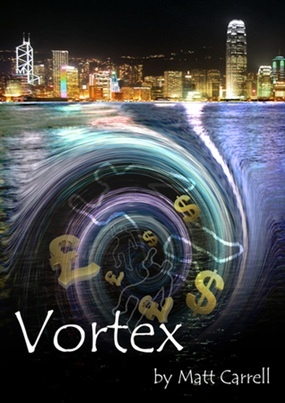 Vortex (ISBN 978-149-80581-4, Linden Tree and Matt Carrell Books, 2014) is the second novel from Matt Carrell, and is a classical thriller in every sense. Set in the Asian investment arena in Hong Kong and Bangkok, it becomes obvious that Carrell has an understanding of the wheeler dealers in the financial agencies, having worked in the field himself. The book is mired in the political intrigue, for which Thailand has been involved for all of its constitutional monarchy days. Carrell writes, “Politicians are nothing more than opportunists with an eye on the lecture tour and the odd backhander.” I don’t think any of the readers would disagree, other than “the odd backhander”. Current day politicians expect much more! The principal character is a young university graduate Andy Duncan, whose father worked in Hong Kong in the financial investment industry. “There was no doubt where the real power lay. In the hands of the investment staff.” The infamous Nick Leeson and how he felled the historic Barings Bank in London is mentioned, and young Andy enters this financial world with his father available to advise his son on how to avoid the financial traps open to young players, not really used to dealing in millions of dollars. Andy’s fall into the vortex of greed is just the start, and he sinks deeper. I enjoyed his first novel “Thai Kiss” (ISBN978-1-938369-02-5, Aardwolfe Books, 2013), and this one is even better in the fact that it is not another of the bar scene/bar girls cheating genre. Carrell in this book shows he has a better than average understanding of Thai culture, including the HiSo end, a place where most farangs are not all welcome and often viewed with suspicion. This is highlighted towards the end of the book, and leaves the reader wondering about the truthfulness of some of the current high flyers! The plot is excellent, building up two separate sub-plots and then bringing them together in an unexpected way. 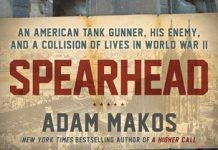 The pace speeds up towards the end of the book, and there are so many twists and turns that the reader will be left breathless. The characters use what is known as the ‘long game’ and the fact that the Asian races do this much better than the Westerners is used. I enjoyed this book, and I am sure that so will you. The book is available through Amazon (as is his earlier works), or contact the author directly via email [email protected] or visit the website www.mattcarrellbooks.com.